Best friends Hector and Louie do everything together. They have dance parties, invent new foods, tell knock-knock jokes, share secrets, and write books together. Their friendship is totally perfect and nothing could ever wreck it, except if they told each other’s secrets. Then the friendship would be cancelled and they’d have to rip the book they are writing to shreds. But that will never happen. An entertaining look at two besties who get in a fight and find their way to forgiveness. 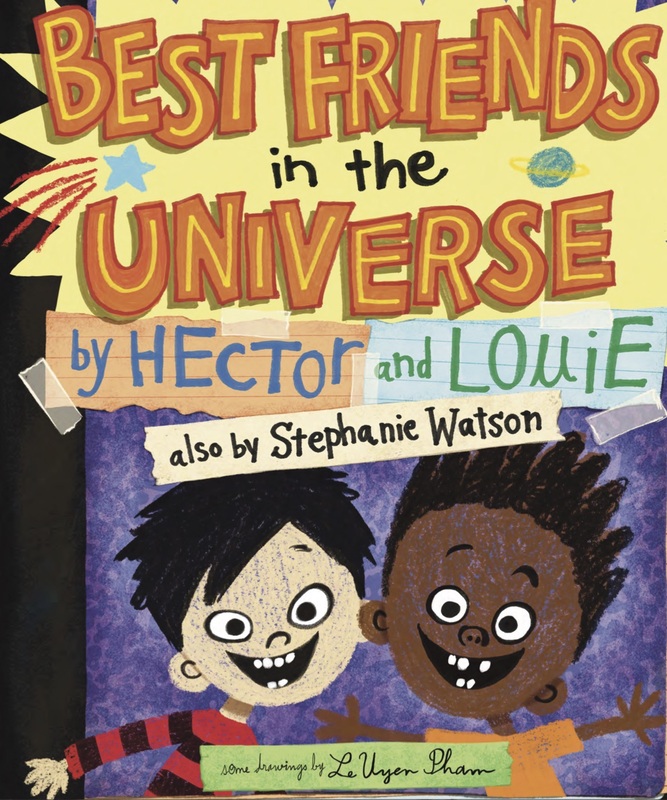 Watson captures the intensity and vulnerability of childhood friendships with lively, free-flowing dialogue. A vivacious tribute to both friendship and the artistic imagination. A tried-and-true friendship story executed with creativity and verve. Bubbles with a fun, noisy energy—this is not a book to read aloud with your inside voice. Have a question or comment? Write to me! I love hearing from readers.